Often people question how efficient solar cells really are, especially if you're in areas where you're not getting full sunlight, for example in a place like Canada. For terrestrial applications, as opposed to outer space which is another place where photovoltaic cells are utilized, there are a number of products that are commercially used for residential applications. A vast majority of them are based on either multicrystalline silicon or single crystaline silicon. Skyscrapers and towers of glass and concrete are certainly not a favourite type of building for those of us who prefer to take an environmentally friendly approach to living. Their air conditioning and lifts eating up valuable energy, the dark underground car parks and the problems of people living on top of each other in tiny boxes like rabbits in stacks of hutches makes the high-rise towers seem like something that we should be campaigning against. 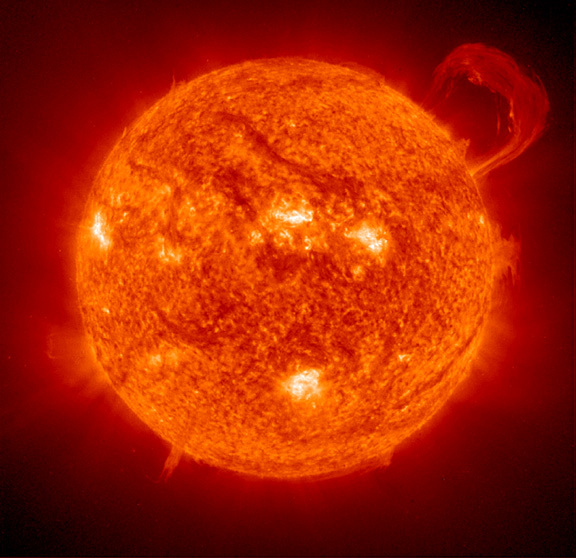 The Sun - our solar system's giant hydrogen fusion reactor. You could say hydrogen was a bit of an enigma. It is the most common atom, comprising about 75% of the known matter in the universe in terms of mass. If we're talking purely in terms of the number of atoms in the universe, the ratio is even more impressive, with hydrogen atoms comprising an estimated 90% of the total number of atoms. 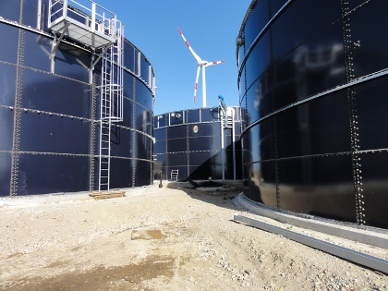 Hydrogen power could be one of the solutions to our future energy needs, but until recently the problem with hydrogen power was its production for use as an energy source. Although hydrogen is the most common element in the known universe, actually capturing it for energy use is a process which itself usually requires some form of fuel or energy. From its discovery, the fact that hydrogen is the lightest element made it seemingly a perfect candidate for early air travel. 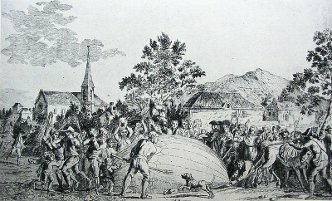 The first hydrogen ballloon was launched on 27 August 1783 from the Champ de Mars in France which is now the site of the Eiffel tower. It took almost a quarter of a tonne of sulphuric acid, poured onto half a tonne of iron to produce enough hydroden to fill the 35 cubic meter baloon. This had to be done over a number of days to fill it though lead pipes, due to the fact that the gas was hot when initially produced, but when it entered the balloon it cooled down and contracted in volume. Although offshore wind turbines have the advantage of not having to take up valuable dry-land resources (as Kevin Costner may say in Waterworld), one the main disadvantages of wind turbines at sea level (or, to be accurate at a few meters above sea level taking into consideration their tower structures) is the relatively low power of the wind that turns them. It's a fact of nature that as you go further upwards into the sky the speed of the wind increases. At a height of 610 metres (2,000 feet) the speed of the wind is between 2 and 3 times the velocity at ground level. This past week, on Tuesday 2nd November 2010, the world's largest wave energy test site was plugged in to the United Kingdom's National power grid and has undergone its first full tests. Declared as officially open for business, the project known as Wave Hub, located off the shores of Cornwall in South West England is the culmination of over 7 years' work to produce a world-leading site where various different wave power technologies can be trialled to see how well they work and how much power they can generate. The world's largest offshore wind farm started generating electricity a few days ago on 23 September 2010. 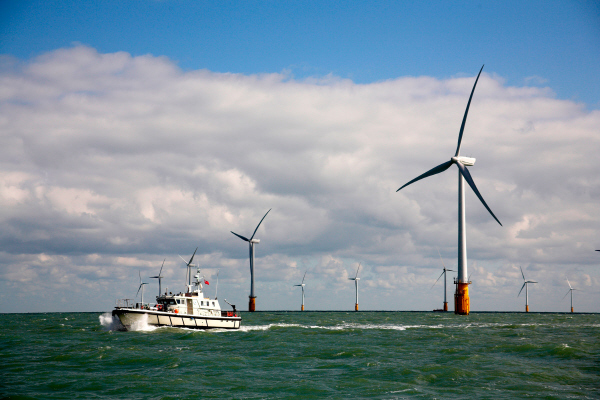 Known as the Thanet Offshore Wind Farm, it is the size of a small town. It encompasses 35 square kilometers,equivalent to 4,000 football pitches. Web hosting companies are renowned for their massive power consumption, required to keep hundreds or even thousands of servers humming away 24 hours a day, 365 days a year. Here at Windup Battery, with sustainability and conservation of the planet always in mind, and also knowing how difficult it can be to decide on a decent web host, an exiting moo-ve from a forward-looking hosting company called Fatcow has caught my eye and may be of great interest to anyone who cares for Planet Earth. In a record breaking flight this week a solar powered plane successfully completed the highest and longest ever flight by a solar aircraft. The huge wings of the plane, known as the Solar Impulse, and its horizontal stabilizer contain 12,000 silicon mono-crystalline solar cells. Energy from the sun is stored in lithium batteries and used to provide the aircraft's 4 electric engines with the power they need to fly the plane. The Solar Impulse flew throughout the whole night for the first time during the evening of 7th July and morning of 8th July 2010.